Diapering whether cloth or disposable diapers is one of the biggest expenses I think of having littles BUT times are a changing. Did you know that Huggies and Pampers both have rewards programs for buying their products but Pampers Rewards you don’t even need a single purchase to earn points. 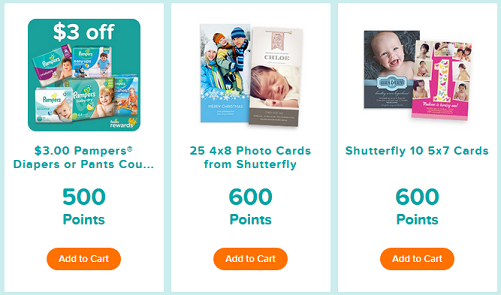 Just for Signing up for Pampers Rewards HERE you also get 100pts! 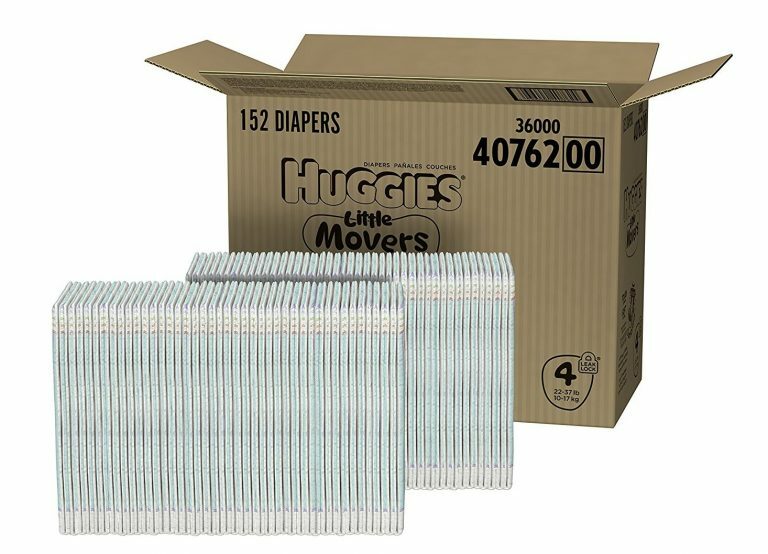 Amazon: Huggies Little Movers Size 4 Diapers 152 Count As Low As $23.51 – Just 15¢ a Diaper! February 8, 2018 By Stacy Leave a Comment By clicking on our links, we might make a SMALL commission - Thanks for the support! See our full DISCLOSURE here. Hurry over to Amazon and snag a great deal on Huggies Little Movers Size 4 Diapers 152 Count As Low As $23.51 – 15¢ Per Diaper! 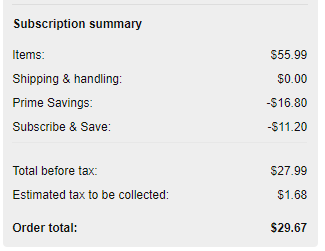 – just clip the 15% off coupon and choose to Subscribe & Save with 5+ subscriptions in a month as a member of Amazon Family and score it for an additional 20% off = $23.51 shipped free with Prime or a $25 purchase. Choose “Skip Immediate Delivery and Just Add Subscription”. HUGGIES size 4 Little Movers Diapers feature our best fit ever for active babies 22-37 lbs. Keep baby smiling in the cloth-like softness of Little Movers diapers, which stay in place, leakproof and comfortable no matter how energetic baby’s play time gets. 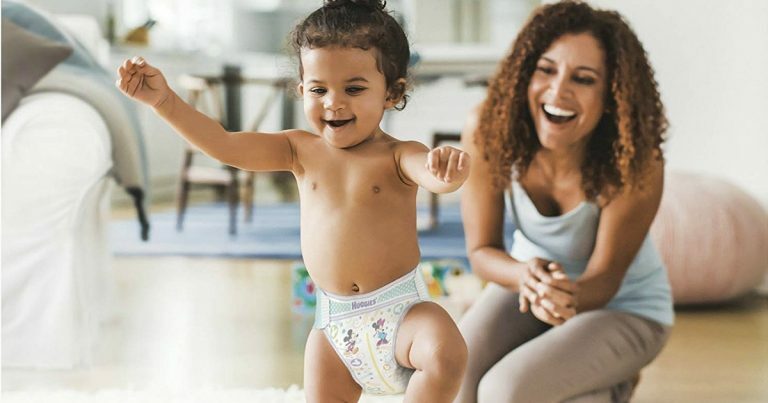 HUGGIES Moving Baby System is built in the shape of your little one, giving total coverage and leak protection during your baby’s naturally active play and keeping them dry and comfy. Unswaddle baby and set them free with HUGGIES Little Movers Diapers. Little Movers are 30% more flexible when wet than Pampers Swaddlers, & wetness indicator strips make it simple to tell when baby needs a clean diaper. HUGGIES knows that nothing is more important than how a diaper feels against your baby’s sensitive skin. Shipping is FREE with your Amazon Prime membership or a $25 purchase. 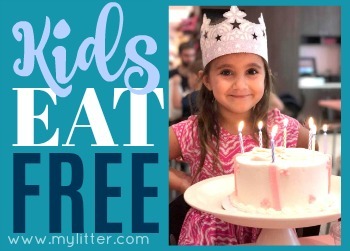 Thanks, Steals and Deals for Kids! February 3, 2018 By Stacy Leave a Comment By clicking on our links, we might make a SMALL commission - Thanks for the support! See our full DISCLOSURE here. 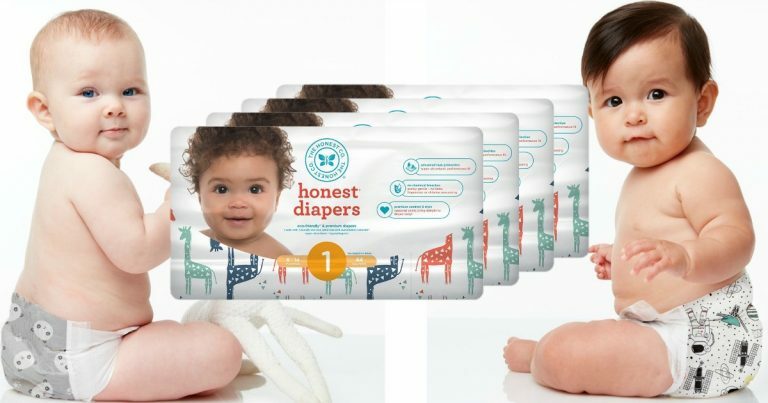 Hurry over to Amazon where Prime Members can score Honest Baby Size 1 Diapers, 176-Count large pack in your choice of 3 patterns (Giraffes, Pandas, or Space Travel) for only $27.99 shipped (reg. $55.99) when you clip the 30% off coupon on the page and choose to Subscribe & Save with the 20% off Amazon Prime Family Discount. Join Amazon Family for Free. Stylish prints for boys & girls – with adorable options for every occasion! Amazon Prime: LUVS Diapers Cheap! As Low As 7¢ per Diaper Shipped FREE! January 13, 2018 By Stacy Leave a Comment By clicking on our links, we might make a SMALL commission - Thanks for the support! See our full DISCLOSURE here. 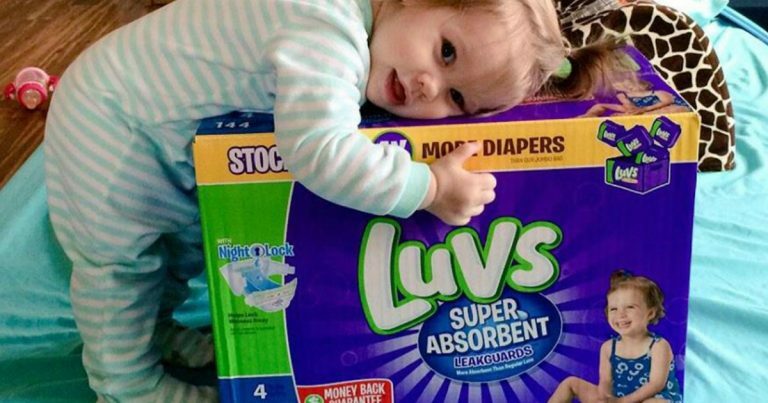 Amazon has a super deal going on LUVS Diapers in sizes 2 to 5, regular $21.54, clip the $2 coupon and choose Subscribe & Save as a Prime Member to save an extra 20% with Amazon Family + shipping is free with Subscribe & Save! Amazon: Huggies Diapers lower than Sams Club! January 11, 2017 By Jamie Leave a Comment By clicking on our links, we might make a SMALL commission - Thanks for the support! See our full DISCLOSURE here. It has been a little bit since we had a REALLY good deal on diapers at Amazon, but right now they are beating the Sams club price. Check out how to get Huggies shipped to your door for as low as $.11 a diaper! Not only will you automatically get 20% Off Diaper Subscriptions on Amazon – you can also clip this SWEET bunch of 20% Off Huggies Amazon Coupons HERE for HUGE savings! 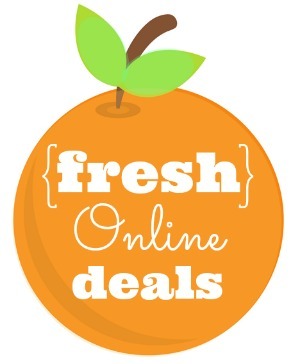 Makes a CRAZY good deal – as low as 11¢ ea! 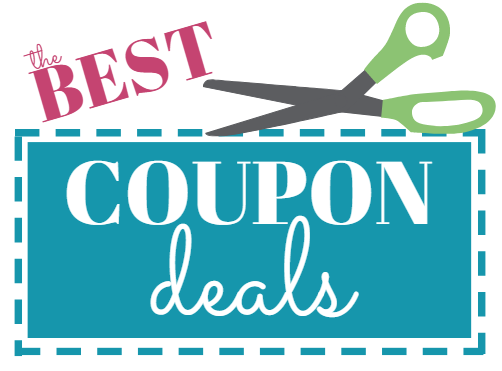 Awesome price – cheaper than in the store using coupons! 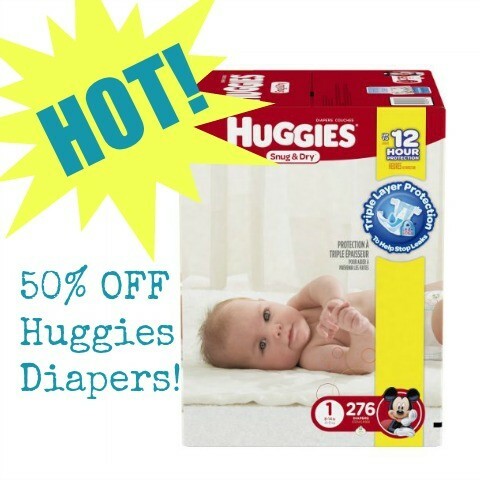 Smokin’ Hot Stock Up Price on Huggies Diapers – As Low as 8¢ Each! May 2, 2016 By Jamie Leave a Comment By clicking on our links, we might make a SMALL commission - Thanks for the support! See our full DISCLOSURE here. Oh my goodness! Do not miss this chance to stock up on Huggies diapers at 50% off! Amazon is offering 30% off select Huggies diapers when you order via Subscribe and Save plus you can stack these savings with the Amazon Family 20% diapers discount. This means you can pick up these Huggies Snug and Dry Diapers for only $21.89 which works out to only $0.08 per diaper! That is seriously an amazing price! Be sure to check the drop down size selector to find the one that works for your baby’s stage. 1.) Sign up for an Amazon Family Account if you don’t have one already. Remember, you’ll save 20% off all diapers ordered through Subscribe & Save, plus you’ll get a Free 3 Month Amazon Prime Membership. 2.) Make sure you are logged into your Amazon account and clip the 30% off Huggies Snug & Dry Coupon. 3.) Choose one Huggies product listed on this page and checkout using the Subscribe & Save option. 4.) You’ll pay as low as $21.89 for an economy size box (276 diapers) of size 1 diapers. This is a super low price that we don’t see often. If there’s room in your budget, I suggest stocking up on diaper sizes your baby will start wearing in the coming months. Don’t forget! Diapers also make a wonderful baby shower gift! April 1, 2016 By Jamie Leave a Comment By clicking on our links, we might make a SMALL commission - Thanks for the support! See our full DISCLOSURE here. 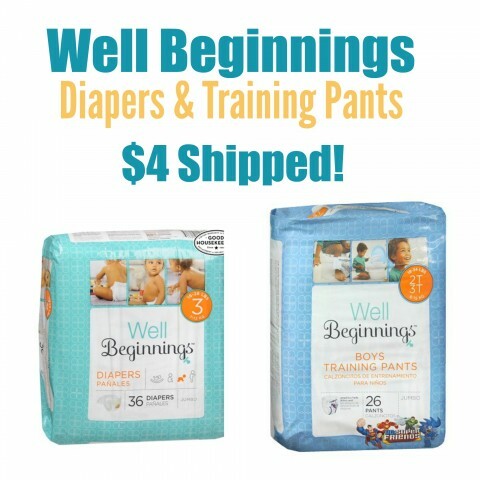 Through April 2nd, you can score Well Beginnings diapers and training pants packs shipped to your door for only $4 each! You can do this by combining a Bonus Rewards offer and a $10 off $50 purchase offer. First of all, this week, Walgreens, is offering 2,000 Bonus Rewards Points (like $2 reward) for every two Well Beginnings Well Beginnings Diapers 23 – 50 pack OR Training Pants 12 – 26 pack you purchase. Both are on sale for 2/$12 and this deal is also available online! PLUS, you can save an additional $10 off your purchase of $50 or more when you pay with VISA Checkout (note: you can use any major credit card, it doesn’t have to be a VISA). The last thing you should know is that shipping is FREE on orders of $35 or more, so you want your total to be at least that amount. Here’s a deal we put together for you…. IMPORTANT: there is a limit of two per size on the Well Beginnings diapers and training pants, so you’ll have to order a mix of sizes in order for this deal to work. Final Price: 9 packs for $36 – $4 per pack shipped right to your door! This is a great time to stock up in the sizes your baby or toddler is growing into OR pick up a few packs for a baby shower gift or to donate! Head on over and grab this awesome deal on Well Beginning Diapers and Training Pants now! You have through the end of the day tomorrow (Saturday, April 2nd)! February 17, 2016 By Tiffany Leave a Comment By clicking on our links, we might make a SMALL commission - Thanks for the support! See our full DISCLOSURE here. 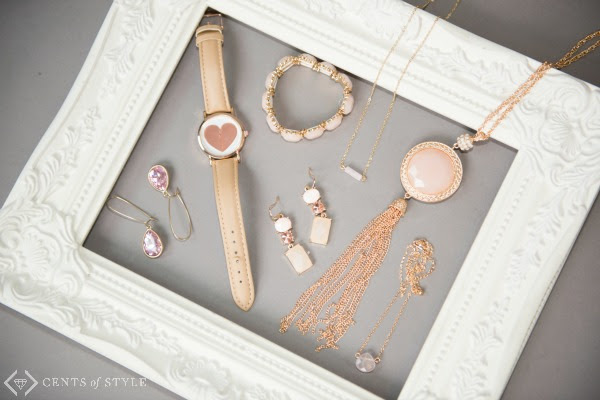 Today’s Cents of Style – Style Steal is absolutely fabulous! They are celebrating this years 2016 Pantone colors of the year, the romantic Rose Quartz and tranquil Serenity. Both colors are pale and soothing, Rose Quartz the perfect shade of blush and Serenity an easy gray blue. Add the color of the year to your wardrobe while getting a great deal. Today only you can score Cents of Style’s Rose Quartz collection for 50% off the lowest marked price (starting at $4.95) & FREE SHIPPING! To get this fantastic deal simply use promo code ROSE50 at checkout. Keep an eye out for this Gwen jewel dangle earring for $7.48 & our bow watch for $12.48. January 28, 2016 By Jamie Leave a Comment By clicking on our links, we might make a SMALL commission - Thanks for the support! See our full DISCLOSURE here. You only have a few more days to use those $2.00/1 Huggies Jumbo Pack Diapers Coupons at Dollar General and stock up on diapers and get your FREE wipes with purchase! Remember you can print TWO coupons per computer/device and you can never have enough diapers when it comes to little ones right? June 22, 2015 By Tiffany Ivanovsky 3 Comments By clicking on our links, we might make a SMALL commission - Thanks for the support! See our full DISCLOSURE here. Pampers Rewards members can earn 10 FREE Points now when you enter the code fb89c2n12nclf15. As a member, you earn points that can be redeemed for amazing rewards for you, your little one or the entire family. 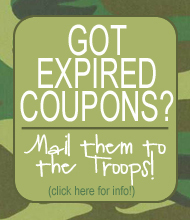 To earn points, just enter the on-pack codes from the diapers and wipes you buy. Or you can get them off of websites! If you have never joined click here and get 100 points just for joining!